To review the new featured apartment complex for Spring 2018, Verdant of San Jose, please visit: http://www.keyhousing.com/rightside.asp?action=form3&ID=899. 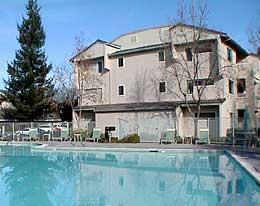 Interested persons looking for tips and insights on how to find serviced or furnished apartments in the tight San Jose short term and corporate housing market can also review Key Housing’s lively blog page at http://blog.keyhousing.com/tag/san-jose-serviced-apartments/. Here is background on this release. Executives searching for a serviced apartment for a long-term or short-term stay may find so-called featured (or furnished) apartments a smart and eco-friendly choice. San Jose’s “Verdant” complex is a case in point. It is close to shopping and the Bay Pointe VTA Station, and so the location can encourage employees to practice healthy living. Corporate managers looking to house a VIP in Silicon Valley may find a top serviced apartment the best choice. Furnished apartments close to public transportation, shopping and hiking trails can be considered an eco-friendly alternative. Executives may not have to purchase furniture or rent a car which could lead to a lighter carbon footprint. For this reason, Key Housing has announced it has selected, “Verdant,” a San Jose serviced apartment as the featured complex for April, 2018. Here, green living and a healthy lifestyle converge at a top San Jose complex offering serviced apartments to visitors from Europe and the United Kingdom. Based in Folsom, California, Key Housing Connections Inc. (http://www.keyhousing.com/) specializes in corporate housing and corporate rentals in cities like San Diego, San Jose and San Francisco. Whether the need is for a serviced apartment or a short term rental, corporate housing or short term apartments, just browse our listings to find the rental that fits one’s short term corporate housing needs. We are competitive with extended stay hotels in cities such as Silicon Valley, San Diego and San Jose. Many nurses, interns and people seeking pet friendly corporate rentals or corporate relocation services depend on us for furnished apartments and other temporary housing needs. Whether after San Jose serviced apartment or a short term rental in Silicon Valley we can aid the search for the right apartment in the Golden State. After all, we’re among the top-rated short-term apartment listing service in areas like Orange County and Los Angeles County. Whether it’s serviced apartments or a furnished rental, just search, click or call today!